1Since November 18, 2009 the Ukrainian ministry of health publishes no separate statistics on cases of A/H1N1 influenza or swine flu. According to the ministry as of January 21, 2010 1,019 people have died of flu and flu-like illnesses and its complications (pneumonia) in Ukraine. The 2009 flu pandemic in Europe was part of a pandemic involving a new strain of influenza, subtype H1N1. H1N1 is commonly called swine flu. The pandemic infected at least 125,550 people in Europe. There were 458 confirmed deaths in Turkey, 438 confirmed deaths in Russia, and 299 confirmed deaths in the United Kingdom. On 27 April 2009, the European Union health commissioner advised Europeans to avoid traveling to the United States or Mexico when possible. The same day, the first confirmed case of swine flu in the EU was announced in Spain. The EU Commissioner for External Relations at the time, Benita Ferrero-Waldner, said on 27 April all travel to Mexico and the disinfecting of all airports in response to the global flu outbreak were being considered. On 20 July 2009, authorities in Albania reported the country's first positive case of swine flu. The infected person was a student from Gjirokastra, who tested positive to the virus. The student was later reported to have fully recovered from the flu. A few days later, three other cases were confirmed. The infected people, two sailors from the Philippines and one from Romania, were admitted to a Durrës city hospital. By 24 July, there were four cases of swine flu confirmed in Albania. On 3 December 2009, the first death from swine flu was confirmed in Albania. By 10 January 2010, there were 426 confirmed cases of H1N1 in Albania, including 12 fatal cases. Two pregnant women, an 18-year-old from Kuçovë and a 25-year-old from Kukës, were among those who died. Several possible cases in Austria had negative results. One test done on a 28-year-old woman from Vienna had a positive result. Austria was the 9th country affected by a confirmed case of swine flu. There are still two suspected cases being tested. As of 22 July 2009, 64 cases of H1N1 were confirmed in the country. On 2 November 2009, an 11-year-old girl from Bozen died in the hospital of Innsbruck, becoming the first human victim of the virus in Austria. Six suspected cases of swine flu in Belgium ultimately tested negative. The Belgian interior ministry announced the first case of H1N1 flu in Belgium on 13 May 2009. The infected person was a 28-year-old man living in Ghent who had returned from a holiday in the United States. A second person tested positive for swine flu in Belgium on 14 May 2009. Two persons tested positive for A/H1N1 flu on 15 May 2009. A sixth and seventh cases of swine flu were discovered on 21 May 2009. An eighth infection was reported on 26 May 2009. By 22 July, a total of 126 cases had been confirmed. On 30 July, a woman from Hoogstraten became the first patient in Belgium to die of swine flu. By 16 August, a total of 2353 cases had been confirmed. As of 18 October, five people had died as a consequence of swine flu it has been estimated that at least 2010 were infected in Belgium. By 29 October, a total of 76,964 cases were confirmed and seven people had died. The first case was confirmed in Bosnia and Herzegovina on 29 June. On 16 November 2009 the first fatality in Bosnia and Herzegovina related to the H1N1 virus occurred. The 40-year-old man died in hospital in Mostar. The first case of swine flu in Bulgaria was a person traveling from New York to Sofia on 27 May. The person developed respiratory problems, a cough and a high fever on 29 May. On 30 September 2009 the first fatality related to the H1N1 virus in Sofia occurred. The 30-year-old man died in hospital in the Bulgarian capital. On 29 April it was announced that a 22-year-old traveler from Florida had been held in quarantine in Osijek, Croatia under suspicion of swine flu. Later that day, however, the Director of Infectious Disease Epidemiology Agency, Dr. Ira Gjenero Margan, stated results of the testing for swine flu were negative "with 99% certainty". On 30 April, a child was held in quarantine in Zagreb but the results were negative. On 15 June, health minister Darko Milinovic confirmed the first case of swine flu in Croatia; however a few hours later he said that a laboratory in London, United Kingdom, had cross-contaminated the samples and thus created a false positive result, meaning that there were no infections in Croatia. The first case was Laboratory confirmed on 3 July. The patient was a 60-year-old woman, who came from Australia. On 31 October, a 61-year-old man from Split became the first patient in Croatia to die because of swine flu. Cyprus identified its first case of H1N1 on 30 May. The infected was a 39-year-old woman from Moldova, living in Cyprus, who had returned from the United States on 28 May. By 11 July 250 cases had been confirmed in Cyprus. In the northern part of Cyprus, all the schools, universities and government offices were shut down for ten days. People were told not to leave their houses unless there was an emergency or it was urgent to do so. The Czech Republic confirmed its first case of swine flu on 25 May. The 29-year-old man was working as a pilot, and he had just returned from New York. He was held in quarantine in the hospital Bulovka in Prague. By 5 August 2009, 135 Czechs had tested positive for swine flu. Authorities confirmed on 1 May that a Danish citizen had tested positive for swine flu, making it the first reported case in Scandinavia. By 11 June, a total of 11 cases had been confirmed, including a six-year-old boy. On 29 June, the first case of Oseltamivir (Tamiflu) resistance in the world was announced. On 28 August 2009, a truck driver from Aalborg Sygehus, he tested positive on H1N1, although it is still not known if the passenger who died caused the flu. In 2009, about 600 Danes tested positive for swine flu. Among them were two in isolation in Indonesia and the first known resistant case using tamiflu. The first case in Estonia was confirmed in a laboratory on 29 May. The patient was a 29-year-old man who had returned from the United States. On 3 June, two new cases were laboratory confirmed. On 7 June, a fourth case was confirmed. The patient was a person who also had returned from the United States on 4 June 2009. Seven new cases were confirmed on 26 June. Two of the infected people came back from a trip to Mexico. The others were American students who were on a trip to Estonia with the U.S. Student Ambassador program, "People to People". On 12 July, six new cases were confirmed. On 17 July, a young Estonian football player was infected. He had returned from Finland after participating in U-19 European Championships. As of 17 July, there were 22 confirmed cases of A(H1N1). On 28 July, Ivi Normet, Deputy Secretary General on Health of Ministry of Social Affairs of Estonia, speculated that in the worst-case scenario the swine flu could infect 500,000 Estonians in ten weeks. That's about 30% of the Estonian population. As of 9 November 2009, there were 130 cases confirmed. As of 11 November 2009, there were 172 cases of influenza A (H1N1) confirmed, in Harjumaa, Tartumaa, Viljandimaa, Võrumaa, Ida-Virumaa and Lääne-Virumaa. Since 11 November, the Estonian Health Protection Inspectorate no longer recommends laboratory tests for all suspected cases of A(H1N1). As of 13 November 2009, there were 79 new cases confirmed in one week. The total cases numbered 217. As of 20 November 2009, there were 269 cases of influenza A (H1N1) confirmed in 10 counties: Harjumaa, Tartumaa, Viljandimaa, Võrumaa, Ida-Virumaa, Lääne-Virumaa, Jõgevamaa, Põlvamaa, Valgamaa and Pärnumaa. On 23 November, the first death from swine flu occurred. The victim was a 13-year-old boy, living in the Harjumaa region. On 29 November, the second death from swine flu occurred. The victim was a 50-year-old male. The total number of confirmed cases had reached 302. On 4 December, another two deaths were confirmed; and the number of confirmed infections had reached 456. By 6 January 2010, the number of cases was 808, with 13 deaths. By 4 March 2010, there were 881 cases confirmed and 20 deaths. On 16 October 2009, the national broadcasting company YLE reported that the first epidemic wave of swine flu had hit Finland. The National Institute for Health and Welfare (THL) said that the H1N1 outbreaks in northern Finland were reaching epidemic proportions. THL also reported that by 16 October there were 377 confirmed cases in Finland. The H1N1 strain of influenza was added to the official list of infectious diseases dangerous to public, ("yleisvaarallinen tartuntatauti"), which guarantees free-of-charge treatment to all residents and allows for involuntary quarantine, effective from 1 May 2009. From the beginning of August it was removed from the list, so free-of-charge treatment is no longer available to residents. Finland's first two H1N1 cases were confirmed on 12 May 2009 in the Helsinki metropolitan area. The first confirmed cases were traveling together in Mexico and came to Finland via Amsterdam on 6 May 2009. According to a Finnish site tracking H1N1 cases, there were currently 1,425 confirmed cases as of 9 November 2009, and laboratory testing of every suspected case was stopped by August. Two serious cases were reported in Finland by 2 September. Thousands were infected in Lapland, northern Finland by 21 October. On 24 October, a 25-year-old woman from Northern Ostrobothnia, who was also suffering a chronic disease, died from H1N1 influenza. On 2 November, an 8-year-old previously healthy girl died from the disease. The girl and her parents had visited a doctor earlier, but were sent back home where the girl later died. According to some estimates, the total number of cases in Finland was probably 10,000–100,000. A two-year-old girl died from the disease (13 November 2009). After publicity of the death of the two-year-old child, Finnish National Institute for Health and Welfare, THL, (13 November 2009) said they will no longer report deaths caused by H1N1. As of 28 April there were twenty suspected cases of swine flu being investigated in France. Since 25 April, over 100 cases of Influenza-like illness have been reported, of which 30 were identified as possible cases. 10 of those cases have since been excluded. On 30 April, the number of suspected cases was revised to 50 (including 4 probable cases). On 1 May, the French Health Minister confirmed, during the 8pm TF1 news that two cases of A(H1N1) flu had been detected in France. On 4 May, two new cases were confirmed, bringing the total number of people infected to 4. On 6 May, a fifth case was confirmed in the Paris region. Two new cases were also confirmed at the end of the afternoon by the INVS (National Institute for Sanitary Watch), 7 are probable and 32 are suspected. On 7 May, three new cases were announced by the National Institute for Sanitary Watch. On 29 April, the first case of swine flu in Germany was confirmed by the Robert Koch Institute in the area of Regensburg. A 22-year-old woman from Hamburg was also confirmed to have been infected by swine flu during a trip to Mexico. A 37-year-old woman from Kulmbach was also confirmed to have become infected during a similar trip. On 1 May, Robert Koch Institute confirmed the first case of human-to-human spreading of swine flu in Munich. A nurse was infected from having contact with infected patients. At approx. 10:00 she claimed to be already healed. At the time of 13:00 one further infection in Bavaria was confirmed, but the patient also claimed to be healthy again. On 2 May, a new human-to-human infection, in the same hospital in Munich, was confirmed. The new patient, who was in the same room with the original infected German that came from Mexico, is currently being reported to show no signs of the new influenza strain anymore. On 3 May, two further cases of swine flu in Brandenburg were reported. Two people from the same flight as patient in Hamburg were also infected. On 5 May, one new case in Saxony-Anhalt was confirmed, bringing the total number of people infected to 9. On 7 May, another new case in Saxony-Anhalt was reported. On 8 May, an adult male living in Bavaria who had recently been to the USA contracted swine flu. On 11 May, the case of a 27-year-old Bavarian woman, who stayed for some weeks in Mexico and medicated patients in a hospital, was reported. On 15 May, two more cases were reported, a female human and her son from Saxony-Anhalt. They were infected by her husband / his father, who had returned from Mexico. On 21 May, a case was found in a 43-year-old woman from Düsseldorf in North Rhine-Westphalia who had returned from New York. One day later, Robert Koch Institute confirmed that her husband had tested positive with swine influenza too. Furthermore, their six-year-old daughter, who did not stay in New York, had been infected by her parents, bringing the total to 17. Up until 5 June 2009, the total number of confirmed cases increased to 49. Most of them were recent travelers to Mexico, the USA or the UK. There was also a single-digit number of isolated in-country-transmissions. On 19 May 2009 the authorities confirmed the first case of swine flu in Greece. The infected person was a 19-year-old Greek student who studied in New York and who flew to Greece a few days before. He was hospitalised at Sismanogleion but was not gravely ill. The authorities have contacted many of the passengers who sat near this patient on the plane and are examining them for suspicious symptoms. At this point in time Greece has enough anti-virals to cover 12% of the population (at least 10% is the amount proposed by the EU directives). The 19-year-old is now out of the hospital and none of the passengers in his flight are infected. On 29 May 2009 the fourth case was announced. On 14 June 2009 the total number of cases have reached 20 and on 17 June 2009 reached 25. On 9 July 2009 the total number of cases reached 216 out of whom 93 have fully recovered. On 16 September 2009 the total number of cases reached 2149. On 29 May 2009, a case involving a Brazilian man was confirmed. The infected man, later recovered and left the country. On 18 June three new cases of swine flu were confirmed in Hungary: a married couple who returned from New York, and a man who came back from London. Iceland is currently being briefed by the WHO and is cooperating closely with ECDC, CDC and the EU in terms of monitoring and response. Initially the directorate of health warned people traveling to Mexico and the United States (especially California and Texas) to exercise caution and to contact a doctor immediately if they started showing symptoms of swine flu but on 28 April people traveling to Mexico were advised to cancel their trip unless it's very urgent. On 28 April, it was announced that passengers arriving in Iceland from the United States or Mexico would be monitored and will undergo medical examination even if the slightest signs of influenza are detected. Iceland has stocks of Tamiflu and Relenza for one-third of its population. A worst-case scenario where 50% of the Icelandic population are infected and 3% of the infected population die. A milder scenario where precautionary measures prevent infection, 25% of the Icelandic population are infected and 1% die. Latest details on cases of A(H1N1) flu in Ireland are to be found on the Health Service Executive website. As of 29 June 2009 there were 39 cases in Ireland. Ireland has over two million doses of anti-virals and a pandemic plan in place. On 2 May 2009 the Department of Health's (HSE) announced the first confirmed case in Ireland, an adult male living in Dublin who had recently been to Mexico. From 25 May to 31 May three more cases were confirmed. On 2 June three new cases were confirmed by the HSE on people who returned recently from New York, The total number of cases as of this date was 7. On 19 June, a case of human swine flu was discovered in a seven-year-old, who was attending a primary school in Co. Mayo and had been abroad. 28 children in the school were treated with Tamiflu. The total number of cases as of this date was 18. On 21 June a child believed to have recently returned from the United States of America and presenting flu-like symptoms was treated in Kerry General Hospital in Tralee, Co. Kerry, but tests later proved negative. A free swine flu vaccination is to be offered to the general population in the coming months, as part of a major plan to avoid the worst affects of a global pandemic. The HSE plans to acquire over 7,500,000 doses of the vaccine, at a cost of almost €90 million. The jabs would be administered by GPs or through a network of over a hundred swine flu clinics and will be ready by the autumn. 12 new cases of swine flu were confirmed here yesterday, bringing the total number in Ireland to 63. Total number of laboratory confirmed cases in Ireland exceed 100. 9 of these cases are believed to have been in-country transmissions of the virus. 11 new cases of the H1N1 virus have been identified in Ireland bringing the total number of confirmed cases to 164 including 17 cases which are believed to have been in-country transmissions of the virus. As of 28 July 2009, there are reportedly 276 confirmed cases in Ireland, according to the HSE. A man in his 30s is critically ill in St James's Hospital in Dublin with human swine flu (H1N1). The man, who is originally from Bratislava in Slovakia, was admitted to hospital late last week. He has been working in Ireland for several years. Around 1,500 people visited GPs last week with suspected swine flu, three times more than the most recent figures released. Director of the Health Protection Surveillance Centre Dr Darina O'Flanagan said the figure was included in the latest data from the Irish College of General Practitioners. It represents 37 people per 100,000 and is three times more than figures released yesterday by the Department of Health. Advertisement The Department said laboratory tests have confirmed 278 cases of the H1N1 virus have been reported but the actual number exceeds that total as family doctors report an increase in the number of cases they have been diagnosing in recent weeks. Two patients who contracted human swine flu (H1N1) are still being treated in intensive care units. Chief medical officer at the Department of Health Dr Tony Holohan said yesterday that the HSE expects some deaths from the virus, and further hospitalisations, over the coming weeks and months. Dr Holohan said 12 people have been hospitalised so far. A man in his 30s, who was admitted to St James's Hospital last week, remains 'critically ill' with the virus. It is believed the man, who is originally from Bratislava in Slovakia, contracted the virus abroad. He has been living in Ireland for several years. The hospital said that all necessary precautions were being taken and that the Health Service Executive and the Department of Health were being fully informed. Friday, 7 August 2009 18:00 A young Irish woman has died from human swine flu today at Tallaght Hospital in Dublin. She is the first person to die from the virus here since the first cases emerged in this country in May. Department of Health officials said this evening that the woman had an underlying medical condition. The second death due to the swine flu virus has been reported. The victim is believed to have been living in the east of the country. The death toll currently stands at nine. On 1 October, two further deaths were announced, bringing the total fatalities to four. As of 5 January 2010 there have been 3189 cases and 22 deaths in Ireland from Influenza A.
Italy's agriculture lobby, Coldiretti, warned against panic reaction, noting that farmers lost hundreds of millions of Euros due to consumer boycotts during the 2001 mad cow scare and the 2005 bird flu outbreak. A woman who returned from San Diego was hospitalised in Venice for suspected swine flu. As of 30 April, about 20 suspected cases of swine flu are monitored in Italy. On 2 May, Reuters confirmed that Italy had a case of swine flu. It was recorded in a 50-year-old man in Massa after he returned from Mexico City. He, however, had very mild symptoms (i.e. aches, coughing, but no fever) and is recovering well. As of 26 July the amount of swine flu cases is 618 with community outbreaks contributing to the number. On 4 September the first death was confirmed in Italy. On 19 September the second death was confirmed in Italy. On 24 July, the authorities in Kosovo[note 1] announced that the samples of three suspected cases had been sent to the laboratory for analysis. According to the authorities, the three cases had had contact with other people who were infected by the A/H1N1 virus. Two of them had previously visited Switzerland and Sweden, and one of them was in the United Kingdom. On 28 July, the results of these three suspected cases showed that only the person, who recently was in the United Kingdom, was infected with swine flu. This person was a 9-year-old child, living in the United Kingdom, who along with the family came to spend their vacation in Kosovo. The family arrived to the Pristina Airport from London, and during the flight, health inspectors recommended the child to see a doctor, once they arrived to Pristina. On 14 November, a first death was confirmed in Kosovo. On 28 December there were 14 A/H1N1 confirmed victims in Kosovo. On 21 June, a woman, who had just returned from North America, was hospitalized in Latvia. Symptoms were observed already when she was still on a plane. It was later confirmed that she has swine flu. It was the first registered case in Latvia. In early November, after severe outbreaks in Russia and Ukraine, the people suffering from the flu increased. On 5 November, there were 10 new cases registered, increasing the total amount of cases to 63. Just four days later, on 9 November, the number reached 89 cases and the first death of H1N1 in Latvia was confirmed. As more people got precautious and the pharmacies weren't supplied enough, the next day, for a short period of time, they ran out of any prophylactic drugs against influenza. On 11 November the number of registered cases reached 132. The next day, with another 33 new cases, the total amount had reached 165 people. On 26 June Lithuania confirmed country's first influenza A (H1N1) in Tauragė (diagnosed by Lithuanian AIDS Centre). On 2 July Lithuania confirmed two more cases of influenza A (H1N1), in Tauragė and Vilnius. Total number of cases – 3. On 7 July Lithuania confirmed two more cases of influenza A (H1N1), in Vilnius region. Total number of cases – 5. As of 11 July 2009, there was 25 possible cases. Not all of the 25 cases were confirmed. On 16 July Lithuania confirmed two more cases of influenza A (H1N1), in Vilnius region. Total number of cases – 7. On 23 July Lithuania confirmed three more cases of influenza A (H1N1), in Vilnius, Marijampolė and Kaunas region. Total number of cases – 10. On 27 July Lithuania confirmed two more cases of influenza A (H1N1), in Vilnius region. Total number of cases – 12. On 29 July Lithuania confirmed three more cases of influenza A (H1N1). Total number of cases – 15. On 31 July Lithuania confirmed seven more cases of influenza A (H1N1), in Vilnius, Panevėžys, Klaipėda, Kaunas, Prienai regions. Total number of cases – 22. As of 8 August 2009, there was 29 cases. Lithuania confirmed eight more cases of influenza, from Kaunas, Vilnius, Ukmergė rajono and Utena region. One of the infected – an Israeli citizen, came to Lithuania. On 11 August, Lithuania confirmed six more cases of influenza A (H1N1), in Vilnius, Panevėžys, Pasvalys, Prienai regions. Total number of cases – 35. On 13 August, Lithuania confirmed five more cases of influenza A (H1N1), in Akmenė and Šiauliai. Total number of cases – 40. Between 14–22 August, Lithuania confirmed seven more cases of influenza A (H1N1). Total number of cases – 47. As of 30 August 2009, there were 48 cases. Lithuania confirmed one more case of influenza. As of 7 September 2009, there were 51 cases. Lithuania confirmed three more cases of influenza. As of 3 November 2009, there was 57 cases. Lithuania confirmed six more cases of influenza. As of mid-November there was 68 cases. Lithuania confirmed eleven more cases of influenza. As of 15 November, there were 127 confirmed cases of influenza. As of 18 November, the first death of swine influenza was reported. The victim was a 14-year-old boy, living in Kaunas region. As of 23 November, the second death of swine influenza was reported. The victim was a 40-year-old male, living in Visaginas. On 24 November, an epidemic is announced in the whole of Lithuania. As of 28 November, the third death of swine influenza was reported. The victim was a 30-year-old female, living in Šiauliai. As of 30 November, the fourth death of swine influenza was reported. The victim was a 45-year-old female, living in Varėna. As of 1 December, the fifth death of swine influenza was reported. The victim was a 46-year-old male, living in Vilnius. As of 2 December, the sixth death of swine influenza was reported. The victim was a 40-year-old male, living in Kaunas. On 2 June, the first case of swine flu was detected in Luxembourg. On 17 September, the first death relative to swine flu was reported in Luxembourg. On 18 October 785 people were confirmed to have swine flu. On 16 November, a second person died of swine flu. On 27 April 2009, the government of the Republic of Macedonia prohibited all exports and imports of live pigs. Even though Macedonia is not affected from swine flu, the government ordered a ten days health monitoring period for everybody that comes from an affected country. On 4 July, Macedonia confirmed the first two cases of virus A/H1N1. As of 8 December 2009, 9 death cases due to complications from the swine flu have been recorded in Macedonia. As of 29 December 2009, 18 death cases have been confirmed in Macedonia. On 2 July 2009, two men were diagnosed with swine flu after a holiday in Girona, Spain. Malta had so far been the only country in European Union without swine flu cases. On 3 July 2009, 14 more cases were reported, bringing the total to 16. Most cases of swine flu in Malta have been mild, with only two hospital admissions as of 6 July 2009, when there were 24 confirmed cases. Ironically the largest number of cases have occurred in Għarb, Gozo; one of the smallest villages on the islands. On Tuesday 18 August the first death was reported; by then the total cases had increased to 244. On 3 September two deaths from the flu were confirmed. The first death, an 82-year-old-woman, was suffering from a chronic disease whereas the second victim, a 63-year-old-man, had chronic health problems. The third victim, a 32-year-old-woman from Spain, that died at San Pawl il-Baħar area. In December 2010 a 70-year-old British woman died while she was in Malta for a holiday. 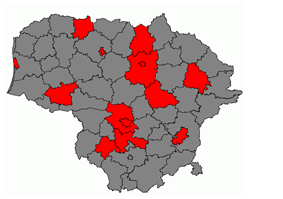 As of 10 November 2009, there are 132 confirmed cases, and 3 confirmed deaths in Moldova. Monaco had reported its first confirmed case of swine flu on 17 June. The victim is a young Monegasque who returned from the United States. He was put in the isolation unit of L'archet Hospital. On 1 December 2009, the first case of death due to swine flu was confirmed in Montenegro. Since then, there were a total of 4 fatalities. On 17 December, the Government of Montenegro declared a swine flu epidemic for the whole territory of the country. The only municipalities without any confirmed cases are Žabljak, Šavnik and Rožaje. The Netherlands National Institute for Public Health and the Environment advised any traveller who returned from Mexico since 17 April and developed a fever of 38.5 degrees Celsius (101.3 degrees Fahrenheit) within four days of arriving in the Netherlands to stay at home. On 30 April 2009 a three-year-old child tested positive for swine flu. The child returned from Mexico to the Netherlands on 27 April 2009. The parents tested negative to swine flu. The girl was very ill at first according to her parents, but made a full recovery. On 7 May a second case and a day later a third case of swine flu in the Netherlands were announced, concerning a 53-year-old woman and a 52-year-old man, respectively. Both of them had returned from Mexico recently and are being treated with Tamiflu. The woman made a full recovery, the man is doing well. There are no connections between each of the three cases. People who were seated close to the infected people in the plane were contacted and are being treated with Tamiflu as a precautionary measure. On 3 July, there were 134 confirmed cases in the Netherlands. The number rose to 273 on 24 July and to 517 on 31 July. On 4 August the first person died (after being sick already), and the number of infected people rose to 912 on 7 August. Only 20% of the patients have contracted the flu within the Netherlands. Many of the sick are people who fell ill during or after their holidays in countries like Spain, Greece and the United Kingdom. On 6 November the Netherlands National Institute for Public Health and the Environment reported there are 5 more cases of death (this brings the total to 17) and that there is an epidemic, which means more than 51 per 100,000 inhabitants contracted the flu, more than 2 weeks in a row. On 4 December the number of fatalities rose to 42. On 4 January 2011, it was confirmed that another 2 children died of swine flu. One of them would be a 4-year-old girl. They both lived in the region of Nijmegen, Gelderland. They died on 20 and 27 December 2010. There would be no link between the deaths. The Norwegian Institute of Public Health (FHI) updates their homepage with information about the swine flu outbreak in Norway every day at 10:00 (UTC). On 9 May, two Norwegian students from Oslo and Telemark, were confirmed to be infected with swine flu after they came home from studies in Mexico. None of them became seriously ill and they are recovering quickly. A member of one of their families is suspected of being infected as well. One of them (the 20-year-old man from Oslo) have been confirmed completely recovered. These are the first two cases of swine influenza in Norway. By the end of May, there were a total number of 7 infected in Norway. On 4 June, a Norwegian woman from Vest-Agder who recently had been to the United States was confirmed with the swine influenza. The infected woman is recovering well. This is the ninth confirmed case of swine influenza. By the end of June, the total number of infected by influenza A H1N1 rose to 33. As of 24 July 197 cases in 18 out of 19 fylker (counties). Most cases are found in Oslo (60), and in Sør-Trøndelag (36). So far, swine flu has not been registered in Hedmark. As of 19 November 23 deaths were reported in Norway. On 22 October, it was confirmed by authorities that over 100,000 people in Norway had been infected with swine flu. 14 people are reported dead by 29 October. Polish Chief Sanitary Inspectorate (PIS) maintains a webpage on the epidemic situation in Poland which includes weekly updates on influenza A/H1N1 outbreak. As of 4 November, it confirmed 187 cases, but there were no death cases. The Polish Foreign Ministry issued a statement on 25 April recommending that citizens avoid travel to affected areas until the outbreak is totally contained. On 13 November, a 37-year-old man died in Gdańsk. It was first death of patient with A/H1N1 in Poland. As of 9 December, there were 1,525 cases and 67 deaths. Number of patients with A/H1N1 could be underestimated because it shows only laboratory confirmed cases. As of 4 May, there has been one confirmed case in Lisbon, Portugal, but it did not represent any concern, because the risk of transmission was no longer present at that time. On 1 June, Frankfurt, Germany. The case was reported at São João Hospital, Oporto. On 30 June, five new cases were announced in Portugal elevating the total number of cases to 18. As of 2 July there have been 27 confirmed cases in Portugal. On 3 July 6 more cases were reported, making a total of 33 cases. As of 4 July, more 5 cases were confirmed, two of them internal transmissions (one in Azores, and the other one in Lisbon). On 6 July, there have been confirmed 48 cases in Portugal. As of 7 July, another 12 people infected were confirmed, making a total of 57 cases in the country. On this day, the first school was closed down for prevention, in Lisbon, as well as a kindergarten in Azores. On 8 July 4 more cases were confirmed, including the first in Braga district, making the total cases 61. As of 14 July, there are a total of 96 confirmed cases in Portugal. On this day, it was also announced that Faro's Hospital will join, on 15 July, the set of hospitals in the country capable of receiving patients infected with the A/H1N1 flu virus. Government officials state the worst-case scenario in Portugal is 25% infection with a mortality of 0.1% totaling 8700 casualties in Portugal. As of 23 August there have been 2244 people infected with the flu in Portugal. Portugal has the second higher tie of infections in Europe. 20,9 cases per 100,000 persons. On 13 September 2009, Portugal had 9618 cases officially confirmed. In total, as of 24 September, there were 12709 cases confirmed in Portugal and the first death was confirmed in the same day. As of 4 December, there were 121,677 cases confirmed and 24 deaths. In Sâmbăteni, Arad County, Romania, a child of a year and six months and his mother who recently returned from a trip to Portugal and Spain were suspected of having contracted influenza A(H1N1). Tests returned negative. On Wednesday, 27 May a woman returning from America was confirmed with swine flu in Bucharest. As of 11 August, there were 227 confirmed cases in 22 out of 41 counties of Romania. By mid-September the number of cases in Romania had risen to 296. As of November, 2nd 2009 the number of cases was 555. No deaths. As of November, 10th 2009 the number of cases was 1,001. No deaths. As of November, 19th 2009 the number of cases was 1,651. No deaths. The first confirmed case of death came on November, 23rd. As of December, 04th 2009 the number of cases was 3,660 and 8 deaths. As of December, 05th 2009 the number of cases was 3,793 and 10 deaths. As of December, 6th 2009 the number of cases was 3,842 and 12 deaths. Health authorities have decided to suspend classes for 7 days, starting Monday, 7 December needle, these educational units: High School “Sabin Dragoi”, Târgu Mureş. As of December, 7th 2009 the number of cases was 3,881 and 12 deaths. As of 8 December 2009 the number of cases was 3,998 and 14 deaths. As of 9 December 2009 the number of cases was 4,113 and 14 deaths. As of December, 15th 2009 the number of cases was 4,885 and 27 deaths. As of 24 December 2009 the number of cases was 5,421 and 42 deaths. As of December, 29th 2009 the number of cases was 5568 and 52 deaths. On 5 January 2010, actor Toni Tecuceanu from Cronica Cârcotaşilor died morning at around 3.00, the Hospital "Matei Balş" in Bucharest, following complications from lung after contracted the virus A/H1N1. Prof. dr. Secretary of State for Health, said the actor, aged 37 years and suffering from obesity. As of January, 08th 2010 the number of cases was 6,061 and 82 deaths. As of January, 25th 2010 the number of cases was 6,873 and 111 deaths. As of February, 9th 2010 the number of cases was 6,982 and 120 deaths. As of February, 26th 2010 the number of cases was 7,003 and 122 deaths. As of April, 9th 2010 the number of cases was 7,008 and 122 deaths. Russia has banned the import of pork meat from Guatemala, Honduras, Dominican Republic, Colombia, Costa Rica, Cuba, Nicaragua, Panama, El Salvador, 9 US States (Alabama, Arizona, Arkansas, Georgia, Kansas, Louisiana, New Mexico, Oklahoma and Florida) and all types of meat and meat products from Mexico and 5 US States (California, Texas, Kansas, New York and Ohio). The President instructed the regional governors to take urgent steps to prevent swine flu from spreading to Russia. Dmitry Medvedev also instructed the presidential plenipotentiary envoys in the federal districts to personally supervise the preventive measures to ensure the disease did not spread [in Russia] and stipulated monthly reports on the situation. On 1 May officials confirmed that two women who came from USA trip were suspected to have swine flu. Currently both are in hospital for further treatment. As on 2 May, both tourists are reported not to be infected with new strain. A 71-year-old tourist from Texas asked to be tested for swine flu at the Provincial hospital in Novi Sad, Serbia on 30 April. The results were negative. The first confirmed case in Serbia was announced on 24 June. The infected person is a 29-year-old male citizen of Montenegro living in Belgrade who came back from a trip to Argentina two days earlier. As he travelled across Croatia and Germany with other people, they were put in semi quarantine. The second case was confirmed on 25 June. The infected person is a 4-year-old female citizen of Australia who was visiting Sombor. She had contact with 13 people whose health is being monitored. On 26 June, three more cases were confirmed, out of which two were independent cases while one patient was infected from contact with the previously diagnosed patient. In total 44 people were put under quarantine surveillance. On 28 June 6 more cases were confirmed – three were citizens of Canada, a mother and her 2- and 5-year-old daughters, two were tourists returning from Australia and Egypt and one was infected from contact with the first flu case patient in Serbia. Four more cases were confirmed on 1 July, one of the patients is a 73-year-old US citizen, while two patients arrived from abroad, from Australia and the USA. On 2 July, an Australian sportsman was diagnosed with flu. On 6 July, the total number of infected patients rose to 26 with two more cases among the Universiade athletes, one from Uganda and one from Argentina. On 7 July, four more cases were confirmed with a total number of 30 cases in Serbia. On 8 July four more cases were confirmed with a total number of 34 cases. International events held in Serbia, 2009 Summer Universiade sport competition and EXIT music festival, led to a sudden increase to over 100 cases of flu in mid-July. On 21 October 2009 the first fatality related to the H1N1 in Serbia. The 46-year-old woman died in hospital in Kragujevac. As of 10 November, there are 258 people infected, and 7 death cases. On 16 November, there are 295 officially confirmed cases, with 11 people died as consequence of swine flu infection. First confirmed infection was confirmed on 19 June; a female who flew from New York to Venice and then drove by car to Slovenia. Institute of Public Health of the Republic of Slovenia has established a web site with information about H1N1 induced influenza. Status of this webpage is updated once a week. As of 28 January 2010, there were 2091 people tested positive. On 27 April the Spanish Ministry of Health and Social Policy announced that a man in Castilla-La Mancha, Spain who had recently returned from Mexico had contracted the disease. The man, aged 23, had returned from Mexico on 22 April and had been quarantined on the 25th. This was the first confirmed case in Europe. The Spanish government is also observing other 35 possible swine flu cases in the Basque Country, Catalonia, the Balearic Islands, Andalusia, Murcia, Madrid and the Valencian Community. AENA, the Spanish state owned company who manages all Spanish airports and Air Traffic Control established a protocol for the flights coming from and to Spain from the affected areas. Three patients who had just returned from Mexico were under observation in multiple regions of Spain. On 28 April, at least eighteen Swedish people were tested for swine flu after returning from trips in Mexico and the USA, but the results were negative. On 29 April two people, recently returned from Mexico with flu like symptoms were tested. As of 6 May, the Swedish Institute for Infectious Disease Control confirms 1 case of influenza A(H1N1). 186 negative test results have been reported. No suspected cases remain to be analysed. The number of confirmed cases has reached 2 in Sweden, with 435 negative cases reported as of 15 May. A third case was confirmed on Friday, 15 May, and reported on the following Saturday, where the patient, a woman in her sixties, has recovered. In all of the 3 cases the influenza was contracted in the USA. A fourth case was confirmed 28 May, influenza was contracted in the USA. As of 19 July 274 cases has been confirmed. On 20 July, the number had risen to 322 confirmed cases and to 340 on 21 July. 362 cases had been reported on 22 July 390 on 23 July and 408 as of 24 July. Three regions have reported more than 20 cases; Stockholm county with 144, Skåne country with 78 and Västra Götaland with 71. 42 of the 408 cases were contracted domestically. A 22-year-old man in Norrköping is hospitalised with a life-threatening condition, requiring extracorporeal membrane oxygenation. In August, a 37-year-old man in Uppsala was the first to die of H1N1 influenza in Sweden. The second case was in September, a 55-year-old man in Västerås. On 31 October, a three-year-old boy died in a hospital after first being turned down treatment even though he suffered several of the obvious symptoms. The first suspicious case in Switzerland was officially confirmed on 27 April. A young man returning from holiday in Mexico informed his family doctor about fever and flu-like symptoms. He was immediately put under quarantine in a hospital. 8 more people are under observation. A container of inactive swine flu virus samples packed in dry ice exploded on a Swiss train, injuring one person but posing no other risks to humans. Switzerland has confirmed its first case of swine flu in a 19-year-old student who returned from Mexico on 30 April. The state hospital in Baden said in a statement that the National Influenza Centre in Geneva confirmed the disease shortly after the student was mistakenly released from hospital day before. Switzerland has confirmed its second case of swine flu in a young woman of 24. She was returning from a trip to Mexico and USA. She is now in the Hospital in Bern. On 24 May, a third case of swine flu has been announced in a woman who came back from Washington and is resident in Basel. As of 26 June, there are 49 confirmed cases in ten cantons, with five cases having been community-transmitted. As of 19 November a total of three persons have been reported to die from swine flu, a baby and two women, all of them with pre-existing health problems of other origin. UK 2009 Swine Flu cases per week. Samples from suspected cases in the United Kingdom have been analysed by the National Institute for Medical Research in London, which is also examining samples of the U.S. strain of the disease. On 25 April 2009, a member of British Airways cabin crew was taken to Northwick Park Hospital in Harrow and quarantined after falling ill with flu-like symptoms on a flight from Mexico City though he was later found not to have swine flu. The first cases were confirmed on 27 April in passengers returning from Mexico. On 1 May the first UK person to person transmission was confirmed. Graeme Pacitti, 24, of Falkirk, picked up the virus after contact with the UK's first cases Iain and Dawn Askham. It was reported on 26 May that a man who has been confirmed with swine flu was critically ill.
On 28 May, people at a Home Office building in Sheffield were quarantined, it was feared someone had caught swine flu on a recent trip to Canada. In reality, three people had caught it, the person who had been to Canada, one from someone who recently had stayed in Acapulco, Mexico, and one from someone who recently had stayed in London. On 6 June, the total of swine flu cases hit 508 with 3 people in intensive care in hospital. On 7 June, the total of swine flu cases hit 541 with 3 people in intensive care. As of 11 June 2009, 822 cases of swine flu were clinically confirmed. On 13 June, the total of swine flu cases hit 1,122 with 4 people in intensive care in hospital. The following day, the first death from swine flu in the United Kingdom was reported from Scotland, making the first death from Europe. By 9 July there were over 9,718 cases of swine flu and the rate of cases was going up increasingly. Gibraltar has reported its first confirmed case of swine flu on 24 July. 27 April First case confirmed in the United Kingdom. First case confirmed in Spain. 29 April First case confirmed in Germany. First case confirmed in Austria. 30 April First case confirmed in the Netherlands. First case confirmed in Switzerland. First case confirmed in Ireland. 1 May First case confirmed in Denmark. First case confirmed in France. 2 May First case confirmed in Italy. 3 May First case confirmed in Portugal. 6 May First case confirmed in Poland. First case confirmed in Sweden. 9 May First case confirmed in Norway. 12 May First case confirmed in Finland. 13 May First case confirmed in Belgium. 18 May First case confirmed in Greece. 23 May First case confirmed in Iceland. 25 May First case confirmed in the Czech Republic. 26 May Community outbreaks confirmed in the United Kingdom. 27 May First case confirmed in Romania. 28 May First case confirmed in Slovakia. 29 May First case confirmed in Hungary. First case confirmed in Estonia. 31 May Community outbreaks confirmed in Germany. 1 June First case confirmed in Bulgaria. 2 June First case confirmed in Luxembourg. First case confirmed in Ukraine. 5 June Community outbreaks confirmed in Switzerland. 12 June First confirmed case in the Isle of Man. 14 June First death confirmed in the United Kingdom. 17 June First confirmed case in Monaco. Community outbreaks confirmed in France. 18 June First confirmed case in Jersey. 19 June First case confirmed in Slovenia. 22 June First case confirmed in Montenegro. 23 June First case confirmed in Latvia. 24 June First case confirmed in Serbia. 25 June First human-to-animal transmission of the virus in the United Kingdom. 26 June First case confirmed in Lithuania. 29 June First case confirmed in Bosnia and Herzegovina. First case of Oseltamivir (Tamiflu) resistance found in Denmark. Community outbreaks confirmed in Italy. 30 June First death confirmed in Spain. 1 July First case confirmed in Malta. 4 July First case confirmed in Croatia. First case confirmed in Macedonia. Community outbreaks confirmed in Spain. 7 July Community outbreaks confirmed in Portugal. 8 July Community outbreaks confirmed in Malta. 11 July First case confirmed in Andorra. 20 July First case confirmed in Albania. Community outbreaks confirmed in Norway. 22 July First death confirmed in Hungary. Community outbreaks confirmed in Ireland. 23 July Community outbreaks confirmed in Sweden. 24 July First case confirmed in Gibraltar. 25 July Community outbreaks confirmed in Greece. 27 July Community outbreaks confirmed in Denmark. Community outbreaks confirmed in the Netherlands. First case confirmed in Kosovo. First case confirmed in Moldova. First death confirmed in Belgium. First death confirmed in France. 3 August First case confirmed in Akrotiri and Dhekelia. 4 August First death confirmed in the Netherlands. 6 August First case confirmed in Liechtenstein. 7 August First death confirmed in Ireland. 18 August First death confirmed in Malta. 19 August First case confirmed in Belarus. 23 August First death confirmed in Greece. 31 August First death confirmed in Sweden. 3 September First death confirmed in Norway. 4 September First death confirmed in Italy. 17 September First death confirmed in Luxembourg. Community outbreaks confirmed in Belgium. 24 September First death confirmed in Portugal. 25 September First death confirmed in Germany. 30 September First death confirmed in Bulgaria. Community outbreaks confirmed in Finland. 20 October First death confirmed in Iceland. 21 October First death confirmed in Serbia. Mass vaccinations in the United Kingdom begins. 22 October First death confirmed in the Czech Republic. 24 October First death confirmed in Finland. First death confirmed in Turkey. 26 October First death confirmed in Moldova. 30 October First death confirmed in Ukraine. 31 October First death confirmed in Croatia. 2 November First death confirmed in Austria. Mass vaccinations in Turkey begins. 3 November First death confirmed in Slovenia. 4 November First death confirmed in Belarus. First case of Oseltamivir (Tamiflu) resistance found in Belarus. First case of Oseltamivir (Tamiflu) resistance found in the Netherlands. 5 November First case confirmed in San Marino. 7 November Mass vaccinations in Belgium begins. 9 November First death confirmed in Latvia. 10 November First death confirmed in Slovakia. 11 November First case confirmed in Armenia. 12 November Mass vaccinations in France begins. First death confirmed in Poland. 14 November First death confirmed in Kosovo. First death confirmed in Switzerland. 16 November First death confirmed in Bosnia and Herzegovina. Mass vaccinations in Greece begins. Mass vaccinations in Spain begins. Mass vaccinations in Cyprus begins. 18 November First death confirmed in Lithuania. First death confirmed in Macedonia. First case of Oseltamivir (Tamiflu) resistance found in Finland. First case of Oseltamivir (Tamiflu) resistance found in Slovenia. 20 November First death confirmed in Denmark. First case of Oseltamivir (Tamiflu) resistance found in the United Kingdom. First mutation (D222G) confirmed in Norway. 23 November First death confirmed in Estonia. First death confirmed in Romania. Mass vaccinations in the Netherlands begins. Mass vaccinations in the Czech Republic begins. First mutation (D222G) confirmed in Ukraine. 27 November First mutation (D222G) confirmed in France. First case of Oseltamivir (Tamiflu) resistance found in France. 30 November First mutation (D222G) confirmed in Finland. First mutation (D222G) confirmed in Italy. 1 December First death confirmed in Montenegro. 3 December First mutation (D222G) confirmed in the Netherlands. First death confirmed in Albania. 4 December First mutation (D222G) confirmed in Spain. 13 December First death confirmed in Georgia. 14 December First death confirmed in Armenia. 15 December First human-to-animal transmission of the virus in France. First case of Oseltamivir (Tamiflu) resistance found in Germany. 1 January Mass vaccinations in the Malta begins. ^ Kosovo is the subject of a territorial dispute between the Republic of Serbia and the Republic of Kosovo. The latter declared independence on 17 February 2008, but Serbia continues to claim it as part of its own sovereign territory. Kosovo's independence has been recognised by 108 out of 193 United Nations member states. ^ a b c d e f g h i j k l m n o p q "ECDC Daily Update". ^ a b c d e f g h i j k l m n o p q r s t u v w x y z aa ab ac ad ae af ag ah ai aj ak al am an ao ap aq ar as at au av aw ax ay az ba bb bc bd be bf bg bh bi bj bk bl bm bn bo bp bq br bs bt bu bv bw bx by bz ca cb cc cd ce cf cg ch ci cj ck cl cm cn co cp cq cr cs ct cu cv cw cx cy "Swine Flu Count - Worldwide statistics of the H1N1 Influenza A Pandemic". flucount.org. 11 November 2009. Retrieved 11 November 2009. ^ a b "Swine flu death toll in Ukraine reaches 16". ^ "Pandēmiskās A/H1N1 gripas laboratorisko izmeklējumu rezultāti". Infectology Center of Latvia. Retrieved 14 March 2010. ^ Nasaw, Daniel (27 April 2009). "Europeans urged to avoid Mexico and US as swine flu death toll exceeds 100". London: Guardian. Archived from the original on 30 April 2009. Retrieved 27 April 2009. ^ "Albania reports first swine flu case". SETimes.com. Retrieved 21 July 2009. ^ "Neue Verdachtsfälle in Vorarlberg und Wien" (in German). Orf.at. Archived from the original on 2 May 2009. Retrieved 30 April 2009. ^ "Austria confirms first case of swine flu April 29". Alertnet.org. Archived from the original on 2 May 2009. Retrieved 2 May 2009. ^ "Austria launches (A)H1N1 vaccination campaign". dalje.com. 9 November 2009. Retrieved 14 June 2014. ^ "Communique" (PDF) (in Nederlands). Retrieved 31 December 2009. ^ "Griep A/H1N1: een bevestigde geval" (PDF) (in Nederlands). Retrieved 31 December 2009. ^ "Novi grip stigao u BiH!". Mtsmondo.com. 10 June 2010. Retrieved 27 August 2010. ^ byNick Iliev (1 June 2009). "Sofiaecho.com". Sofiaecho.com. Retrieved 27 August 2010. ^ "First swine flu death in Bulgaria : Health". Archived from the original on 3 October 2009. Retrieved 2 October 2009. ^ "Svinjska gripa i u Hrvatskoj?". Index.hr. Archived from the original on 2 May 2009. Retrieved 2 May 2009. ^ "Net.hr". Net.hr. Retrieved 30 April 2009. ^ "Potvrđeno: Kod djeteta nije utvrđen virus svinjske gripe". Index.hr. Archived from the original on 3 May 2009. Retrieved 2 May 2009. ^ "Nalaz iz Londona je bio lažan: u Hrvatskoj nema svinjske gripe". ^ "Ovaj put nije lažna uzbuna: Svinjska gripa stigla u Hrvatsku!". dnevnik.hr. Retrieved 3 July 2009. ^ """Prva smrt od svinjske gripe u Hrvatskoj: "Epidemija će trajati duže od godinu dana!. index.hr. Archived from the original on 3 November 2009. Retrieved 31 October 2009. ^ "Erste bestätigte Fälle in Dänemark und Hongkong". Spiegel Online. Archived from the original on 3 May 2009. Retrieved 1 May 2009. ^ "Dansker smittet med svineinfluenza". Berlingske Tidende. 1 May 2009. Archived from the original on 3 May 2009. Retrieved 1 May 2009. ^ BBC News, "Swine flu 'shows drug resistance'", 16:15 GMT, Monday, 29 June 2009 17:15 UK . Retrieved 30 June 2009. ^ Villak, Hetlin (29 May 2009). "Esimene seagripi juhtum Eestis sai lõpliku kinnituse" (in Estonian). ^ Villak, Hetlin (3 July 2009). "Kaks uut seagripi juhtumit said ametliku kinnituse" (in Estonian). Eesti Päevaleht. Retrieved 9 November 2009. ^ Kask, Kalev (28 July 2009). "Ministeerium: kümne nädala jooksul võib seagrippi nakatuda 500 000 inimest" (in Estonian). Eesti Päevaleht. Retrieved 29 November 2009. ^ Villak, Hetlin (11 November 2009). "Seagripp levib juba ilmselt Eesti-siseselt" (in Estonian). Eesti Päevaleht. Archived from the original on 14 November 2009. Retrieved 11 November 2009. ^ "Uus gripp levib nagu hooajaline gripp" (in Estonian). Tervisekaitseinspektsioon (Health Protection Inspectorate). 11 November 2009. Archived from the original on 16 November 2009. Retrieved 1 December 2009. ^ Kalmus, Kertu (20 November 2009). "Eestis on kinnitatud kokku 269 uue gripi haigusjuhtu" (in Estonian). Eesti Päevaleht. Archived from the original on 24 November 2009. Retrieved 22 November 2009. ^ Aug, Tuuli (23 November 2009). "Eestis suri 13-aastane laps seagrippi" (in Estonian). Eesti Päevaleht. Retrieved 23 November 2009. ^ Kalmus, Kertu (29 November 2009). "Eestis suri 50-aastane mees seagrippi" (in Estonian). Eesti Päevaleht. Archived from the original on 30 November 2009. Retrieved 29 November 2009. ^ Kalmus, Kertu (4 December 2009). "Seagripp nõudis Eestis veel kaks ohvrit" (in Estonian). ^ Vasli, Karolinna (6 January 2010). "?" (in Estonian). Õhtuleht. Archived from the original on 10 January 2010. Retrieved 6 January 2010. ^ Tamm, Merike (4 March 2010). "Uus gripp viis väikelapse ja täismehe" (in Estonian). Postimees. Archived from the original on 6 March 2010. Retrieved 4 March 2010. ^ "KTL.fi". Ktl.fi. Archived from the original on 20 August 2010. Retrieved 27 August 2010. ^ "Sikainfluenssa lisätään tartuntatautiasetukseen – Uutisarkisto – Mediuutiset" (in Suomi). Mediuutiset.fi. Retrieved 30 April 2009. ^ "Tekniikkatalous.fi" (in Suomi). Tekniikkatalous.fi. Retrieved 27 August 2010. ^ "Pääkaupunkiseudulla varmistui kaksi sikainfluenssatapausta". Hs.fi. Retrieved 31 December 2009. ^ "Map of cases in Finland". Tilannehuone.fi. 29 September 2009. Retrieved 27 August 2010. ^ Keskisuomalainen (29 July 2009). "Savon Sanomat, 27.7.2009: Hundreds of H1N1-cases in Finland". Savonsanomat.fi. Retrieved 27 August 2010. ^ Two serious cases in Finland (2.9). Accessed 13 September 2009. Archived 2009-09-16. ^ Keskisuomalainen (21 October 2009). "Savonsanomat.fi". Savonsanomat.fi. Retrieved 27 August 2010. ^ "YLE.fi". YLE.fi. Retrieved 27 August 2010. ^ "Vingt cas suspects de grippe porcine en cours d'étude en France". Reuters. 28 April 2009. Archived from the original on 2 May 2009. Retrieved 29 April 2009. ^ "Cas humains de nouvelle grippe à A(H1N1). Point au 30 avril 2009 – 17h00". InVS. 30 April 2009. Retrieved 30 April 2009. ^ "Grippe A: deux cas avérés en France". Lexpress.fr. Archived from the original on 3 May 2009. Retrieved 2 May 2009. ^ "Two new cases of swine flu confirmed in France". MySinchew.com. Archived from the original on 17 June 2009. Retrieved 4 May 2009. ^ "France confirms a fifth case of swine flu". France24. Retrieved 6 May 2009. ^ "Sante.fr". Invs.sante.fr. Retrieved 27 August 2010. ^ "Lemonde.fr". Lemonde.fr. Archived from the original on 16 July 2010. Retrieved 27 August 2010. ^ "Grog.org". Grog.org. Retrieved 27 August 2010. ^ "Spiegel Online: Erster Schweinegrippe-Fall in Deutschland". Spiegel Online. 29 April 2009. Archived from the original on 1 May 2009. Retrieved 29 April 2009. ^ "Bavaria reports first case of swine flu in Germany". Reuters. Archived from the original on 4 May 2009. Retrieved 29 April 2009. ^ a b c "Virologen stellen drei Schweinegrippe-Fälle in Deutschland fest". Spiegel online. 29 April 2009. Archived from the original on 1 May 2009. Retrieved 29 April 2009. ^ "Spiegel Online: Erste Mensch-zu-Mensch-Infektion mit Schweinegrippe in Deutschland". Spiegel Online. 1 May 2009. Archived from the original on 3 May 2009. Retrieved 1 May 2009. ^ "Spiegel Online: Virologen erwarten weitere Schweinegrippe-Infektionen in Deutschland". Spiegel Online. 1 May 2009. Archived from the original on 3 May 2009. Retrieved 1 May 2009. ^ "Spiegel Online: Zweite Mensch-zu-Mensch-Infektion in Deutschland". Spiegel Online. 2 May 2009. Archived from the original on 4 May 2009. Retrieved 2 May 2009. ^ "Schweinegrippe erreicht Brandenburg". Focus Online. 3 May 2009. Retrieved 3 May 2009. ^ "Spiegel Online: Neunter Schweinegrippe-Fall in Deutschland". Spiegel Online. 5 May 2009. Archived from the original on 8 May 2009. Retrieved 5 May 2009. ^ "Welt Online: Zehnter Fall von Schweinegrippe in Deutschland". Welt Online. 7 May 2009. Archived from the original on 10 May 2009. Retrieved 7 May 2009. ^ "Spiegel Online: ZH1N1-Virus erstmals aus den USA eingeschleppt". Spiegel Online. 8 May 2009. Archived from the original on 10 May 2009. Retrieved 8 May 2009. ^ "Welt Online: Zwölfter deutscher Schweinegrippe-Fall bestätigt". Welt Online. 11 May 2009. Archived from the original on 14 May 2009. Retrieved 12 May 2009. ^ "Welt Online: Zwei neue Schweinegrippe-Fälle in Deutschland". Welt Online. 15 May 2009. Archived from the original on 17 May 2009. Retrieved 17 May 2009. ^ "Welt Online: Düsseldorferin an Schweinegrippe erkrankt". Welt Online. 20 May 2009. Archived from the original on 22 May 2009. Retrieved 21 May 2009. ^ "(Situation assessment to the new influenza)"Situationseinschätzung zur Neuen Influenza (in German). 22 May 2009. Archived from the original on 21 May 2009. Retrieved 22 May 2009. ^ "Forbes.com". Forbes.com. 18 May 2009. Retrieved 27 August 2010. ^ Τέταρτο κρούσμα της νέας γρίπης Α στην Ελλάδα Μία 23χρονη Ελληνίδα είναι το νέο κρούσμα της νέας γρίπης στην χώρα. Το Κέντρο Αναφοράς Γρίπης Νοτίου Ελλάδας (Ινστιτούτο Παστέρ) επιβεβαίωσε το τέταρτο κρούσμα. (in Greek). ^ ΑΝΑΚΟΙΝΩΣΗ ΤΥΠΟΥ-ΥΠ. ΥΓΕΙΑΣ ΚΑΙ ΚΟΙΝΩΝΙΚΗΣ ΑΛΛΗΛΕΓΓΥΗΣ. Επιβεβαιώνεται ότι ο τελικός αριθμός των ατόμων που έχουν προσβληθεί από τον νέο ιό, ανέρχεται σε 20, εκ των οποίων οι 8 έχουν ιαθεί πλήρως. (in Greek). ?. Archived from the original on 15 June 2009. Retrieved 14 June 2009. ^ "Ακόμη δύο κρούσματα της νέας γρίπης εντοπίστηκαν στη χώρα – Στα 25 τα περιστατικά" (in Greek). in.gr. 17 June 2009. Retrieved 2009-060-18. ^ "Mohaw.gr". Mohaw.gr. Retrieved 27 August 2010. ^ Στα 290 τα κρούσματα της γρίπης Α στην Ελλάδα (in Greek). Retrieved 13 July 2009. ^ Σε 323 ανέρχονται τα κρούσματα της Νέας Γρίπης (in Greek). Retrieved 14 July 2009. ^ "Tanea.gr". Ygeia.tanea.gr. 16 September 2009. Retrieved 27 August 2010. ^ "Var bara tímaspursmál" (in Íslenska). mbl.is. Archived from the original on 29 May 2009. Retrieved 23 May 2009. ^ "Fyrsta tilfelli inflúensu A(H1N1) greint á Íslandi" (in Íslenska). Landlæknisembættið. Retrieved 23 May 2009. ^ "Nýtt flensutilfelli á Íslandi". Retrieved 31 December 2009. ^ "Annað tilfelli inflúensu A(H1N1) staðfest á Íslandi". Retrieved 31 December 2009. ^ мsland. "RзV – TvЖ hugsanleg svМnaflensutilfelli" (in Íslenska). Ruv.is. Archived from the original on 3 May 2009. Retrieved 30 April 2009. ^ "Landlæknisembættið – Fréttir". Landlaeknir.is. Archived from the original on 29 April 2009. Retrieved 27 April 2009. ^ a b "Fylgst með farþegum". mbl.is. Archived from the original on 29 April 2009. Retrieved 28 April 2009. ^ "?". ?. 2008. Archived from the original on 29 April 2009. Retrieved 1 May 2009. ^ Health Service Executive of Ireland: A(H1N1) Flu Information. ^ "Northern Ireland Health Services". Dhsspsni.gov.uk. Archived from the original on 27 August 2010. Retrieved 27 August 2010. ^ "RTÉ News: Second Swine Flu case reported in Ireland". Rte.ie. 25 May 2009. Retrieved 27 August 2010. ^ "RTE News". Rte.ie. 26 May 2009. Retrieved 27 August 2010. ^ "IOL News". Breakingnews.iol.ie. 31 May 2009. Retrieved 27 August 2010. ^ "RTE.ie". RTE.ie. 2 June 2009. Retrieved 27 August 2010. ^ "RTÉ News: Child treated for swine flu in Mayo". Rte.ie. 19 June 2009. Retrieved 27 August 2010. ^ "RTÉ News: Kerry swine flu tests negative". Rte.ie. 21 June 2009. Retrieved 27 August 2010. ^ Red hot (4 July 2009). "Herald.ie". Herald.ie. Retrieved 27 August 2010. ^ "RTE.ie". RTE.ie. 28 July 2009. Retrieved 27 August 2010. ^ "RTE.ie". RTE.ie. 29 July 2009. Retrieved 27 August 2010. ^ "RTE.ie". RTE.ie. 7 August 2009. Retrieved 27 August 2010. ^ "RTÉ News: Two further swine flu deaths confirmed". 1 October 2009. Archived from the original on 3 October 2009. Retrieved 2 October 2009. ^ "Flucount.org". Flucount.org. Retrieved 27 August 2010. ^ a b Jordans Frank (26 April 2009). "Swine flu fears prompt quarantine plans, pork bans". The Associated Press. Archived from the original on 30 April 2009. Retrieved 26 April 2009. ^ "Possible Swine Flu Case in Venice". Javno.com. Archived from the original on 1 May 2009. Retrieved 2 May 2009. ^ "About 20 suspected cases of swine flu monitored in Italy". News.xinhuanet.com. Archived from the original on 3 May 2009. Retrieved 2 May 2009. ^ "Gripi i derrave arrin edhe në vendin tonë?". RTK Live. Retrieved 24 July 2009. ^ "Nuk ka arsye për panik pas shfaqjes së virusit A/H1N1 në Kosovë.". RTK Live. Retrieved 28 July 2009. ^ Delfi As. "'"Latvijā atklāts pirmais saslimušais ar tā dēvēto 'cūku gripu. Delfi.lv. Retrieved 27 August 2010. ^ "Latvijā diennaktī lielākais saslimušo skaits ar cūku gripu". Diena.lv. Retrieved 27 August 2010. ^ a b Delfi As. "Latvijā reģistrēti jau 89 'cūku gripas' gadījumi". Delfi.lv. Retrieved 27 August 2010. ^ Delfi As. "No 'cūku gripas' mirušajai bijušas arī citas kaites". Delfi.lv. Retrieved 27 August 2010. ^ LETA. "Zāļu tirgotājiem beigušies pretgripas medikamenti". Tvnet.lv. Retrieved 27 August 2010. ^ LETA. "Jaunā gripa konstatēta vēl 22 cilvēkiem; mediķi aicina necelt paniku". Tvnet.lv. Retrieved 27 August 2010. ^ Deng Shasha (29 April 2009). "Macedonian senior officials monitored for possible swine flu". Retrieved 31 December 2009. ^ "A1.com.mk". A1.com.mk. Retrieved 27 August 2010. ^ "Monaco swine flu". Rivieraradio.info. Retrieved 27 August 2010. ^ Frank Jordans (25 April 2009). "WHO declares international concern over swine flu". Associated Press. Retrieved 31 December 2009. 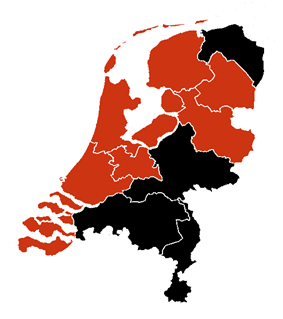 ^ "Mexicaanse griep in Nederland". ANP. 30 April 2009. Archived from the original on 31 December 2009. Retrieved 31 December 2009. ^ "Meisje is aan de beterende hand". Algemeen Dagblad. 4 May 2009. Archived from the original on 7 May 2009. Retrieved 8 May 2009. ^ a b "Derde geval Mexicaanse griep in Nederland". NU.nl. 8 May 2009. Archived from the original on 10 May 2009. Retrieved 8 May 2009. ^ "Third H1N1 flu case confirmed". Radio Netherlands. 8 May 2009. Archived from the original on 17 June 2009. Retrieved 8 May 2009. ^ "Forse stijging Mexicaanse griep". ANP. 24 July 2009. Archived from the original on 2 January 2010. Retrieved 31 December 2009. ^ "Nieuwe Influenza A (H1N1)". RIVM. 7 August 2009. Retrieved 7 August 2009. ^ "Twee kinderen overleden aan Mexicaanse griep". De Gelderlander. 4 January 2011. Retrieved 4 January 2011. ^ a b "FHI.no". FHI.no. Retrieved 27 August 2010. ^ "Svineinfluensa påvist i Norge". TV 2 Nyhetene. 10 May 2009. Retrieved 11 May 2009. ^ Avfred C. Gjestad. "Aftenposten.no". Aftenposten.no. Retrieved 27 August 2010. ^ "Główny Inspektorat Sanitarny" (in Polish). 8 July 2009. Retrieved 9 July 2009. ^ "Ostatecznie: 37-latek z Gdańska miał A/H1N1" (in Polish). 13 November 2009. Archived from the original on 17 November 2009. Retrieved 13 November 2009. ^ "Clix.pt". Ultimahora.publico.clix.pt. Retrieved 27 August 2010. ^ "Second case of swine flu in Portugal". Tv1.rtp.pt. Retrieved 27 August 2010. ^ "Sapo.pt". Diariodigital.sapo.pt. Retrieved 27 August 2010. ^ ciberatlantida.pt (14 July 2009). "Jornaldigital.com". Jornaldigital.com. Retrieved 27 August 2010. ^ "Sapo.pt". Dn.sapo.pt. Retrieved 27 August 2010. ^ "Portaldasaude.pt". Portaldasaude.pt. 26 August 2009. Retrieved 27 August 2010. ^ "20,9 cases per 100,000 people in Portugal". Noticias.sapo.pt. Retrieved 27 August 2010. ^ "Primeira morte confirmada em Portugal". Archived from the original on 26 September 2009. Retrieved 23 September 2009. ^ Correio Da Manha. "Correio da Correio da Manhã". Archived from the original on 26 September 2009. Retrieved 23 September 2009. ^ "UPDATE Suspiciunea de gripa porcina in cazul copilului din Arad a fost infirmata (April 30)". Hotnews.ro. Archived from the original on 3 May 2009. Retrieved 2 May 2009. ^ "O mamă şi un copil din Arad, suspecţi de gripă porcină. Streinu Cercel: "E o alarmă falsă" (April 30)". Antena3.ro. Archived from the original on 3 May 2009. Retrieved 2 May 2009. ^ "Romania announces first confirmed swine flu case". ^ "România a anunţat primul deces cauzat de gripă porcină". ^ "Ministerul Sănătăţii – COMUNICATE DE PRESĂ". ^ "Tony Tecuceanu de la Cârcotaşi a murit după ce a fost diagnosticat cu AH1N1". ^ Pro TV (22 February 1999). "Map of swine flu evolution in Romania". Stirileprotv.ro. Retrieved 27 August 2010. ^ a b "Yuga.ru". Yuga.ru. Retrieved 27 August 2010. ^ "KP.ru". KP.ru. 23 March 2010. Retrieved 27 August 2010. ^ "Altapress.ru". Altapress.ru. Retrieved 27 August 2010. ^ "Regnum.ru". Regnum.ru. Retrieved 27 August 2010. ^ a b c d e "Regnum.ru". Regnum.ru. 25 November 2009. Retrieved 27 August 2010. ^ a b "Regnum.ru". Regnum.ru. Retrieved 27 August 2010. ^ a b "RBC.ru". Ug.rbc.ru. Retrieved 27 August 2010. ^ a b "Rian.ru". Volga.rian.ru. Retrieved 27 August 2010. ^ РИА Новости. Руслан Кривобок (13 November 2009). "Rian.ru". Rian.ru. Retrieved 27 August 2010. ^ a b "Briansk.ru". Briansk.ru. Retrieved 27 August 2010. ^ "Google Translate". Translate.google.com. Retrieved 27 August 2010. ^ оНХЯЙ (27 October 2009). "Radiomayak.ru". Radiomayak.ru. Retrieved 27 August 2010. ^ "Moscow-post.ru" (in Русский). Moscow-post.ru. Retrieved 27 August 2010. ^ "Synews.ru". Synews.ru. Retrieved 27 August 2010. ^ a b РИА Новости. Юрий Стрелец (22 December 2009). "Rian.ru". Rian.ru. Retrieved 27 August 2010. ^ "Regnum.ru". Regnum.ru. 23 November 2009. Retrieved 27 August 2010. ^ "Rian.ru". En.rian.ru. Retrieved 27 August 2010. ^ РИА Новости. Григорий Сысоев (19 November 2009). "Rian.ru". Rian.ru. Retrieved 27 August 2010. ^ "Newsru.com". Txt.newsru.com. Retrieved 27 August 2010. ^ "KP.ru". Kaliningrad.kp.ru. 23 March 2010. Retrieved 27 August 2010. ^ a b "Newsru.com". Txt.newsru.com. Retrieved 27 August 2010. ^ "KP40.ru". KP40.ru. Retrieved 27 August 2010. ^ a b "RBC.ru". Spb.rbc.ru. Retrieved 27 August 2010. ^ a b "Regnum.ru". Regnum.ru. 16 December 2009. Retrieved 27 August 2010. ^ "Interfax-russia.ru". Interfax-russia.ru. Retrieved 27 August 2010. ^ a b "Davecha.ru". Davecha.ru. Retrieved 27 August 2010. ^ a b "Rian.ru". Rian.ru. Retrieved 27 August 2010. ^ Helen. "Livekuban.ru". Livekuban.ru. Retrieved 27 August 2010. ^ a b Нелли ЕФИМОВА. "DDDkursk.ru" (in Русский). DDDkursk.ru. Retrieved 27 August 2010. ^ "Regnum.ru". Regnum.ru. 27 November 2009. Retrieved 27 August 2010. ^ a b "Gorod48.ru". Gorod48.ru. Retrieved 27 August 2010. ^ a b "Osinform.ru". Osinform.ru. Retrieved 27 August 2010. ^ "Regnum.ru". Regnum.ru. 21 December 2009. Retrieved 27 August 2010. ^ "GG12.ru". GG12.ru. Retrieved 27 August 2010. ^ "UDM.ru". Susanin.udm.ru. Retrieved 27 August 2010. ^ a b "Info-rm.com". Info-rm.com. 14 May 2005. Retrieved 27 August 2010. ^ a b c d РИА Новости. Алексей Куденко (20 November 2009). "Rian.ru". Rian.ru. Retrieved 27 August 2010. ^ a b "Interfax.kz". Interfax.kz. Retrieved 27 August 2010. ^ "Regions.ru". Regions.ru. 25 November 2009. Retrieved 27 August 2010. ^ "KP.ru". Omsk.kp.ru. 23 March 2010. Retrieved 27 August 2010. ^ "Regions.ru". Regions.ru. 23 November 2009. Retrieved 27 August 2010. ^ "Rian.ru". Volga.rian.ru. Retrieved 27 August 2010. ^ a b "NR2.ru". NR2.ru. 31 March 2010. Retrieved 27 August 2010. ^ Приморский край. "Vostokmedia.com". Vostokmedia.com. Retrieved 27 August 2010. ^ a b "RZN.info". RZN.info. Retrieved 27 August 2010. ^ a b "Rian.ru". Rian.ru. 13 November 2009. Retrieved 27 August 2010. ^ "KP.ru". KP.ru. 18 November 2009. Retrieved 27 August 2010. ^ a b "Newvers.ru". Newvers.ru. 22 December 2009. Retrieved 27 August 2010. ^ "KP.ru". Smol.kp.ru. 23 March 2010. Retrieved 27 August 2010. ^ "VZ.ru". VZ.ru. Retrieved 27 August 2010. ^ a b "KP.ru". Ural.kp.ru. Retrieved 27 August 2010. ^ a b Тамбов. Рекламный сайт www.tambik.ru. "Tambik.ru". Tambik.ru. Retrieved 27 August 2010. ^ "Newru.com". Txt.newsru.com. Retrieved 27 August 2010. ^ a b "Regions.ru". Regions.ru. Retrieved 27 August 2010. ^ a b "KP.ru". Tula.kp.ru. 23 March 2010. Retrieved 27 August 2010. ^ "Regnum.ru". Regnum.ru. 16 November 2009. Retrieved 27 August 2010. ^ a b "Regnum.ru". Regnum.ru. 22 December 2009. Retrieved 27 August 2010. ^ a b "Newsvo.ru". Newsvo.ru. Retrieved 27 August 2010. ^ a b "UDM-info.ru". UDM-info.ru. Retrieved 27 August 2010. ^ a b "Narod.ru". Sm-k.narod.ru. Retrieved 27 August 2010. ^ a b В Екб. 08:23 (18 November 2009). "Nakanune.ru". Nakanune.ru. Retrieved 27 August 2010. ^ a b Россия. "Yarcom.ru". Yarcom.ru. Retrieved 27 August 2010. ^ "regnum.ru". regnum.ru. 28 December 2009. Retrieved 27 August 2010. ^ "Russia-ban on meat import" (in Russian). Ria Novosti. 27 April 2009. Retrieved 31 December 2009. ^ "О мерах Россельхознадзора в связи со вспышками гриппа, вызванного вирусом H1N1, в Мексике и США" (in Russian). Rosselkhoznadzor. 26 April 2009. Retrieved 31 December 2009. ^ "В дополнение к указанию от 26.04.2009 № ФС-2-02/179 о запрете на ввоз поднадзорных грузов в связи с распространением гриппа H1N1" (in Russian). Rosselkhoznadzor. 26 April 2009. Retrieved 31 December 2009. ^ "Dmitry Medvedev instructed Russia's regional authorities to take urgent measures to prevent the spread of swine flu in Russia" (in Russian). kremlin.ru. 27 April 2009. Retrieved 31 December 2009. ^ Две россиянки госпитализированы с подозрением на "калифорнийский грипп" (in Russian). ^ У гражданок России, прилетевших накануне из США, не обнаружили опасной инфекции (in Russian). ^ "Nema meksičkog gripa u Novom Sadu" (in Српски / Srpski). Rts.rs. Archived from the original on 3 May 2009. Retrieved 2 May 2009. ^ "Novi grip i u Srbiji" (in Српски / Srpski). ^ "Potvrđen slučaj novog gripa i u Somboru" (in Српски / Srpski). Rts.rs. 25 June 2009. Retrieved 27 August 2010. ^ "Tri nova slučaja gripa H1N1". B92.net. Retrieved 27 August 2010. ^ "Pod lekarskim nadzorom 44 osobe". Blic.rs. Retrieved 27 August 2010. ^ "U Srbiji još pet slučajeva gripa". B92.net. Retrieved 27 August 2010. ^ "Za 24 sata novih šest zaraženih". Blic.rs. Retrieved 27 August 2010. ^ "Četiri nova slučaja gripa". Blic.rs. Archived from the original on 30 August 2010. Retrieved 27 August 2010. ^ "Igre počele s gripom!". Mtsmondo.com. 10 June 2010. Retrieved 27 August 2010. ^ "Obolela još dvojica učesnika Univerzijade". Blic.rs. Archived from the original on 10 August 2010. Retrieved 27 August 2010. ^ "U Srbiji 26 obolelih od novog gripa". Blic.rs. Archived from the original on 29 August 2010. Retrieved 27 August 2010. ^ "Od novog gripa u Srbiji obolelo 30 ljudi". RTS. 8 July 2009. Retrieved 8 July 2009. ^ "Prvi slučaj novog gripa na Egzitu". B92.net. Retrieved 27 August 2010. ^ "U Srbiji preko 100 slučajeva gripa". B92.net. Retrieved 27 August 2010. ^ Могуће проглашење епидемије (in Српски / Srpski). Rts.rs. Archived from the original on 22 August 2010. Retrieved 27 August 2010. ^ "Blic.rs". Blic.rs. Retrieved 27 August 2010. ^ "2091 confirmed cases". Institute of Public Health of the republic of Slovenia, Ljubljana. 28 January 2010. Retrieved 1 February 2010. ^ "Informacije o bolezni, ki jo povzroča novi virus gripe". Institute of Public Health of the Republic of Slovenia, Ljubljana. Retrieved 22 August 2009. ^ "Europe's first swine flu case confirmed in Spain". Agence France-Presse. 27 April 2009. Archived from the original on 29 April 2009. Retrieved 27 April 2009. ^ "Sanidad confirma un caso de gripe porcina en Albacete". eitb.com. Archived from the original on 30 April 2009. Retrieved 27 April 2009. ^ "Sanitary protocol to follow, recommended by AENA" (PDF) (in Español). aena.es. Retrieved 26 April 2009. ^ "Smittskyddsinstitutet.se". Smittskyddsinstitutet.se. Retrieved 27 August 2010. ^ TT. "Ingen konstaterad smitta i Sverige | Inrikes | SvD" (in Svenska). Svd.se. Archived from the original on 29 April 2009. Retrieved 27 April 2009. ^ TT. "Nya misstänkta fall i Sverige var negativa | Sverige | DN" (in Svenska). DN.se. Archived from the original on 30 April 2009. Retrieved 28 April 2009. ^ Dalarnas tidningar (29 April 2009). "Två misstänks ha influensan i Dalarna | Sverige | SVT" (in Svenska). svt.se. Archived from the original on 4 May 2009. Retrieved 1 May 2009. ^ SMI. "Utförda analyser i Sverige" (in Svenska). smittskyddsinstitutet.se. Archived from the original on 10 May 2009. Retrieved 6 May 2009. ^ SMI. "Utförda analyser i Sverige" (in Svenska). smittskyddsinstitutet.se. Archived from the original on 10 May 2009. Retrieved 16 May 2009. ^ Dagens Nyheter. "Tredje fallet av influensa bekräftat i Sverige" (in Svenska). dn.se. Archived from the original on 20 May 2009. Retrieved 17 May 2009. ^ SMI. "Utförda analyser i Sverige" (in Svenska). smittskyddsinstitutet.se. Archived from the original on 15 June 2009. Retrieved 28 May 2009. ^ SMI. "Utförda analyser i Sverige" (in Svenska). smittskyddsinstitutet.se. Archived from the original on 15 June 2009. Retrieved 24 July 2009. ^ -DI. "Livshotande för influensasjuk 22-åring" (in Svenska). di.se. Retrieved 20 July 2009. ^ Christina Wahldén. "SvD – Pojke med svininfluensa avled" (in Svenska). Svd.se. Retrieved 27 August 2010. ^ "Verdachtsfall von Schweinegrippe im Aargau (Panorama, NZZ Online)". Nzz.ch. 24 February 2009. Archived from the original on 29 April 2009. Retrieved 28 April 2009. ^ "Switzerland confirms 1st case of swine flu". Thejakartapost.com. 30 March 2009. Archived from the original on 2 May 2009. Retrieved 2 May 2009. ^ "Grippe A/H1N1: 2e cas confirmé en Suisse" (in French). Retrieved 31 December 2009. ^ "Bundesamt für Gesundheit – Grippe A(H1N1)" (in German). Retrieved 31 December 2009. ^ "2009 Press Releases". Health Protection Agency. 24 December 2009. Archived from the original on 24 December 2009. Retrieved 24 December 2009. ^ "NIMR scientists discuss swine-like human influenza A H1N1". National Institute for Medical Research. 1 May 2009. Archived from the original on 17 June 2009. Retrieved 5 May 2009. ^ "Cabin crew member in hospital after flight from swine flu-struck Mexico". London: Guardian. 25 April 2009. Archived from the original on 29 April 2009. Retrieved 27 April 2009. ^ "UK | Tests confirm flu transfer in UK". BBC News. 1 May 2009. Archived from the original on 3 May 2009. Retrieved 1 May 2009. ^ HPA. "First case of onward human to human swine flu transmission in England confirmed". Archived from the original on 4 May 2009. Retrieved 3 May 2009. ^ "'"Probable swine flu man 'critical. BBC News. 26 May 2009. Retrieved 23 April 2010. ^ "Update on confirmed swine flu cases". Health Protection Agency. 11 June 2009. Archived from the original on 14 June 2009. Retrieved 12 June 2009. ^ "Panorama.gi". Panorama.gi. Retrieved 27 August 2010.